Touch ID was introduced in iOS 7 as a means of authenticating the user - similar to a passcode. However, it was limited to unlocking the device, using the App Store, using iTunes and authenticating the iCloud keychain only. There are now two ways to use Touch ID as an authentication mechanism in an iOS 8 application using the Local Authentication API. It is currently not possible to use Local Authentication to authenticate remotely. To fully understand Touch ID and its worth, we should explore Keychain Services and what these new changes mean for your user's data. Keychain Access has also been expanded upon in iOS 8 through the use of the new Access Control Lists (ACLs) feature. Keychain is a large database providing secure storage for passwords, keys, certificates and notes for one individual Apple ID. In iOS 8 an application always has access to its own unique keychain items, and cannot access any keychain items of other applications. This differs from OS X where the keychain is unlocked with a single password, letting any Keychain Services-aware application use the keychain. In this article we will focus on how the keychain works in iOS 8. The Keychain can’t decrypt the keychain item by itself; instead it is done in the Secure Enclave. The Secure enclave is a co-processor within the A7 chip that is responsible for determining a successful match from fingerprint data from the Touch ID sensor against a registered print. It will then decrypt the keychain item, and return the decrypted secret to the keychain. First your application should query into the Keychain to see if a password exists. If it doesn’t exist, you may need to prompt for a password so the user isn’t continually asked. If the password needs to be updated, prompt the user for a new password and pass in the updated value to the keychain. After using a secret retrieved from the Keychain, all references to the data should be purged from memory. Never assign it to a global variable. All operations inside the Secure Enclave can trust each other. This means we can use the Touch ID authentication result to authorize the Keychain item decryption. The Secure Enclave also keeps a counter of failed Touch ID matches, in which case a user will have to revert to using the passcode. 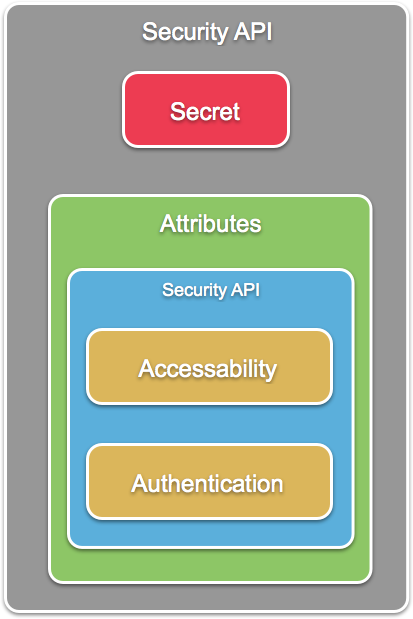 A new framework in iOS 8, called Local Authentication, supports this process of authentication within the device. We will explore this in the next section. As we established in the previous section, applications can use Local Authentication to authenticate the user in adherence with the security policy that has been set up on the device. Currently, the API provides only two capabilities: Firstly, it aids the existing Keychain services through the use of new Keychain Access Control Lists (ACLs). Keychain data can be unlocked with the successful authentication of a users fingerprint. While both capabilities offer local authentication, they do not provide a mechanism for the application or the user to authenticate to a remote server. Local Authentication provides a new standard user interface for authentication. In the case of Touch ID, this is an alert view with two buttons as illustrated below. One button to cancel, and one to use the fallback means of authentication – the passcode. There is also a custom message that must be set. It is good practice to use this to explain to the user why Touch ID authentication is required. We looked a little earlier at how a keychain item is decrypted, using the secure enclave to verify our passcode. In iOS 8, we can use Local Authentication to request Touch ID verification in conjunction with the Access Control Lists feature, which provides the implementation of the fallback mechanism, or the password. To use ACL we should be using the SecAccessControl policy, and then checking the state of the device using SecAccessible.WhenPasscodeSetThisDeviceOnly or SecAccessible.WhenUnlocked. Only use with Foreground Application – if you call any keychain operation on a background thread the call will fail. Adding and updating keychain items may require authentication. If a request returns multiple matching items in the keychain, authentication may be required. ACL protected items are device-only, and therefore not synchronized or backed up. Local Authentication was created as a way to collect credentials, such as passcode or Touch ID, and to work with the Secure Enclave to finish authenticating the user. Think of it as a bridge between your application and the Secure Enclave, which can never directly communicate with each other. It can also be used for policy evaluation for your application. To do this an application calls the policy evaluation inside Local Authentication, which starts the operation inside Secure Enclave. You can leverage this to provide authentication to your app, without directly querying/accessing the Secure Enclave. Using Local Authentication in your application provides a simple way of implementing user verification, for example to unlock a feature solely for the eyes of the device owner, such as banking applications, or to aide parental controls for the individual application. You can also use it as a way to extend authentication that already exists – users like their information to be secure, but they also like to have options. The security of local authentication differs from that of the keychain. For example, when using the keychain, the trust is between the operating system and the Secure Enclave. With local authentication, it is between the application and the operating system, which means that you only have access to the results of the Secure Enclave, not the Secure Enclave itself. On the subject of security, it is also extremely important to know that there is no access to registered fingers, or fingerprint images. The Secure Enclave is the owner of this information, and so no other system component has access to it. CanEvaluatePolicy – This will simply check to see if the device is capable of accepting Touch ID. EvaluatePolicy – This starts the authentication operation and displays the UI, and returns a true or false answer. DeviceOwnerAuthenticationWithBiometrics – This is the policy that can be used to show the Touch ID screen. It is worth noting that there is no passcode fallback mechanism here, instead you should implement this fallback in your application to allow users to skip the Touch ID authentication. As with Keychain, it can only be run in the foreground. Calling it on a background thread will cause it to fail. Keep in mind that the policy evaluation may fail. A passcode button will need to be implemented as a fall back. You must supply a localizedReason to explain why Authentication is needed. This helps to build trust with the user. Next, in the section below, we will look at how to implement the API taking these caveats into consideration. In the previous sections, we looked at the theory behind access and authentication using Keychain and Local Authentication. We will now take a look at how you can integrate Touch ID in to your application. So let’s look at adding some Touch ID Authentication to our application. 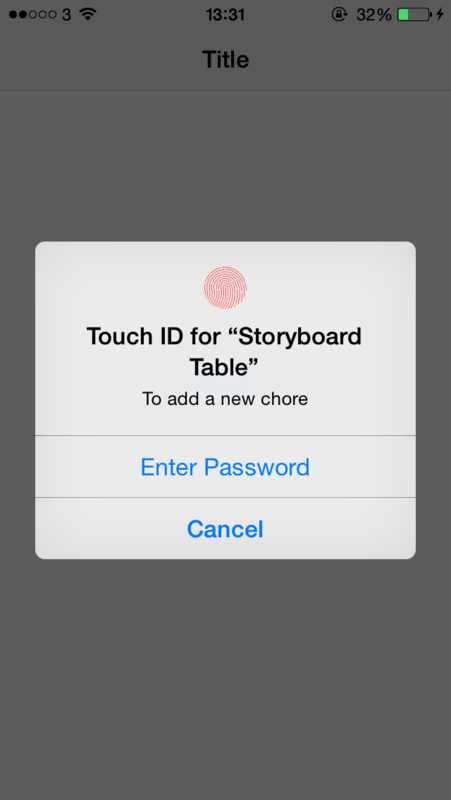 In this walkthrough we are going to update the Storyboard Table sample, adding local authentication so that it works like the Storyboard Table – Local Authentication sample, which only allows authenticated users to add chores to the list. Download the sample and run it in Visual Studio for Mac. 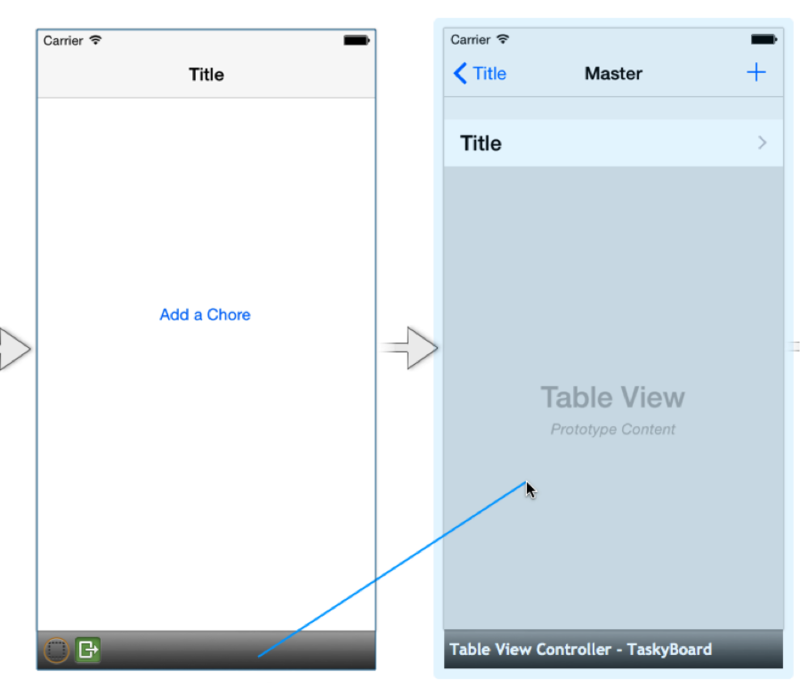 Double Click on MainStoryboard.Storyboard to open the sample in the iOS Designer. With this sample, we want to add a new screen to our application, which will control the authentication. This will go before the current MasterViewController. Name the new View Controller AuthenticationViewController. 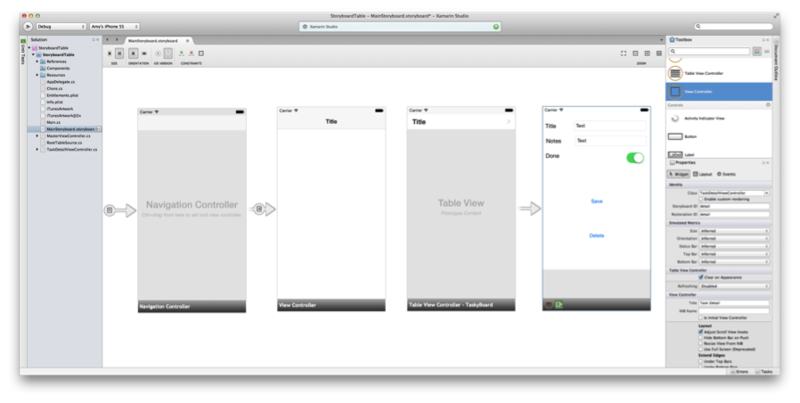 Next, drag a button and place it on the AuthenticationViewController. Call this AuthenticateButton, and give it the text Add a Chore. Create an event on the AuthenticateButton called AuthenticateMe. In this guide we looked at Keychain and how this works in iOS. We also explored the keychain ACL, and changes to this in iOS. Next, we took a look at the Local Authentication framework, which is new in iOS 8 and then looked at implementing Touch ID authentication in our application.